Visit to the amotIQ headquarters on October 4, 2018. 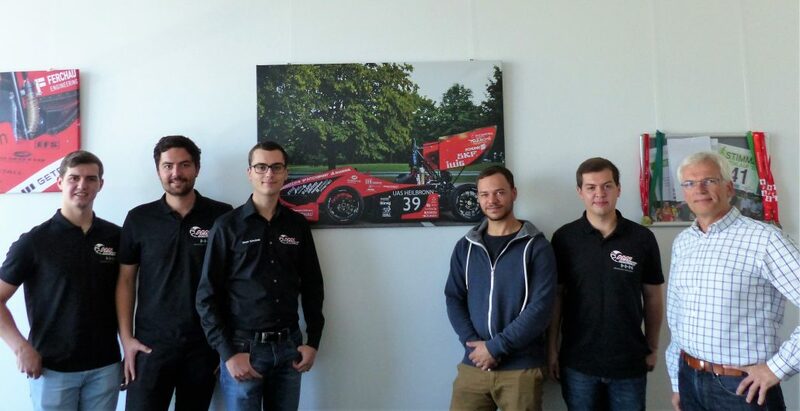 The old and the new board of HHN Racing e.V. 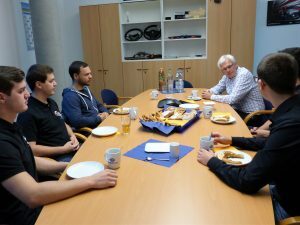 visits sponsor partner amotIQ automotive for a first encounter, friendly meeting, exchange of experience and to have breakfast together. Mike Guthmann and Viktor Renz handed over their duties to Tim Herkenhoff and Simon Schwärzle for the 2018/19 season. 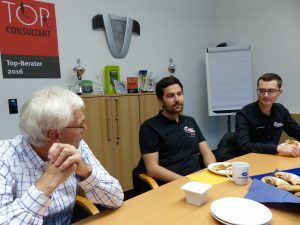 How fruitful the cooperation between the students and amotIQ automotive is is shown by Albert Renz, amotIQ trainee, student at Heilbronn University of Applied Sciences and team member at HHN Racing. 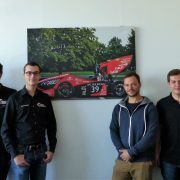 As a little motivation for the new racing season, amotIQ presents ist visitors of HHN Racing with race car “Emily” on canvas – as a memory of the successful joint past season.